Carrot sled for the Winter Bunny! 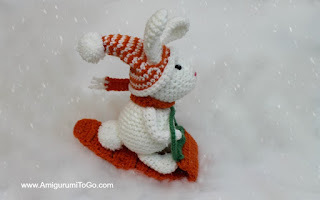 As I was preparing the Winter Bunny pattern for publishing the thought came to me that the Bunny needed an orange sled instead of a red one then the next thought was carrot sled, of course! That's so fun, so I just had to make one! If you been following this blog then you've already seen the Winter Mice and their red sleds and the Snow Mouse. This is my latest series that I've named "Winter Friends". bottom of this post and there you will also find the option to leave a donation. Thank you so very much and enjoy! Use the same weight yarn for the sled as the yarn you used for your bunny. I did not measure out how much yarn I used, it doesn't take much yarn to make one sled. TIP: When working in rows of hdc it is easy to miss the last st of the row so if your ends start looking a little wonky it's because you're not working the last st. 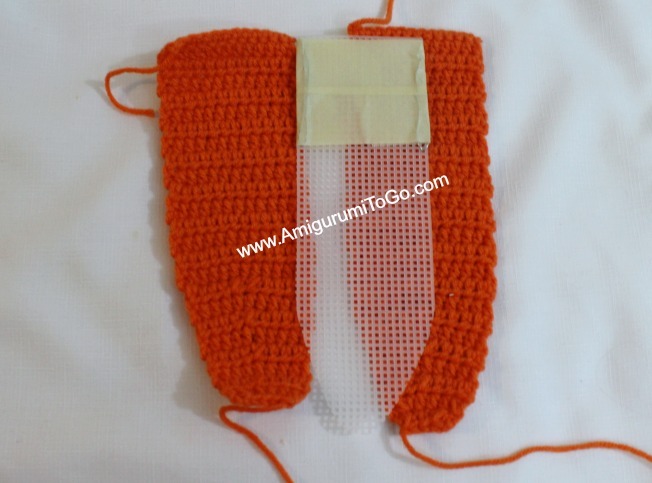 The last st of hdc rows will always be slightly pulled down so you will have to look for it and make sure your hook is going through both loops of the st.
Cut a piece of plastic mesh in the shape as your crochet carrot pieces. Cut 2 lengths of wire about 12 inches each (in the photos you might notice my wire is looped more times than instructed here, I had cut it too long so don't worry if your wire doesn't loop around as many times as shown in the photo). Loop a wire through a square in the top corner of the mesh sheet then loop the loose ends through a square about 3 inches down, then back up and squeeze the wire with pliers to make sure it's laying flat. Tape up the ends so there's no risk of the ends poking through. 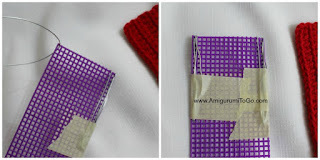 Test the piece before sewing. See if it holds the shape when you roll the front end, if it doesn't hold in place on its own then that means you used a lighter gauge wire so just add more wire and repeat the step of wrapping and taping. Click on photos to enlarge them. The first picture is borrowed from my red sled pattern. 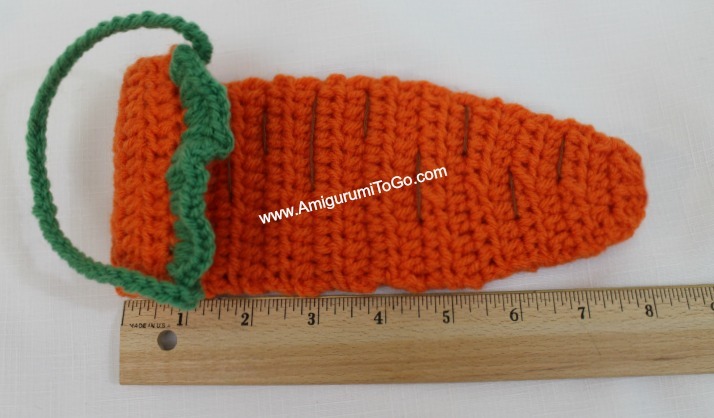 Place the plastic sheet in between the 2 crochet pieces and whip stitch from the bottom of the carrot to each of the top corners. Go through the squares when you can to ensure the crochet piece doesn't bunch up. Knot off one corner and hide the yarn tail inside. Going through one crochet piece onlygoing through one crochet piece only, insert green yarn about 1/4 inch from a corner, add in 3hdc in each space across and stop about 1/4 inch from the other corner. f/o and weave green yarn tails in. 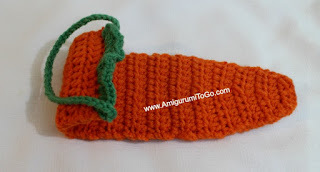 Now sew the top closed with the remaining orange yarn tail, knot off and hide yarn tail inside carrot. Roll the front of the sled, I used a small bottle to roll the front of the sled with and that helped give me an even roll. For the rope use green, chain 40 and f/o. Sew to the top on each side of the green. Love your Winter Friends series. Who's next? A bird? So adorable. Eager to make them all! Thanks for sharing your talents with us. Thank you so much for your designs and for making them free. 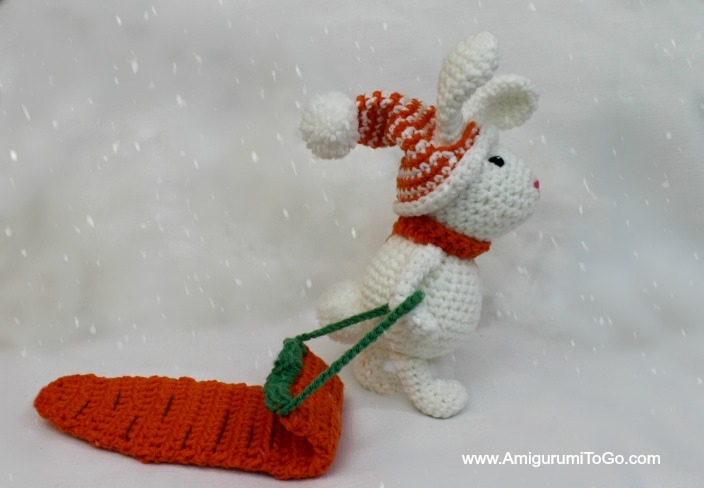 The carrot sled is just adorable and the perfect accessory for the bunny.